Subject: LongIsland.com - Your Name sent you Event details of "Lenten Retreat"
Dr. Peter Bouteneff will present a lecture based on his recent book, “How to Be a Sinner: Finding Yourself in the Language of Repentance”, on Saturday, March 30 at Holy Trinity Orthodox Church, 369 Green Avenue, East Meadow. Dr. Bouteneff is Professor of Systematic Theology and Director of the Master of Arts Program at St. Vladimir’s Orthodox Theological Seminary. 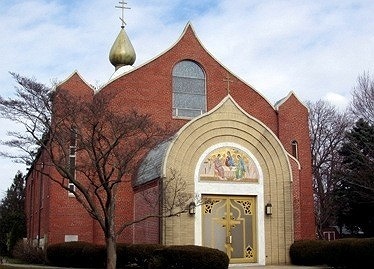 The schedule for the day is as follows: 9:30 AM Memorial Divine Liturgy (in English), 11:00 AM registration and meal, 12:00 PM to 5:00 PM lecture (half hour break at 2:30 PM), 5:00 PM meal, and 6:00 PM Great Vespers (evening prayer in English). There will be no charge, but free-will offerings will be accepted. Directions to Holy Trinity can be found at www.htocem.org. For more information, contact us at 516-483-3649 or info@htocem.org.